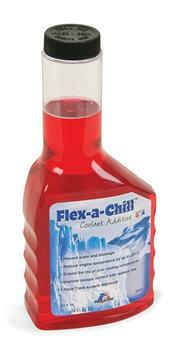 Flex-a-Lite Coolant Additive UNIVERSAL - Lesher Motorsports, Inc.
Flex-a-lite’s new engine-coolant additive helps your engine cooling system on two fronts. First, it protects your expensive engine parts and radiator from electrolysis that corrodes the parts from the inside out. 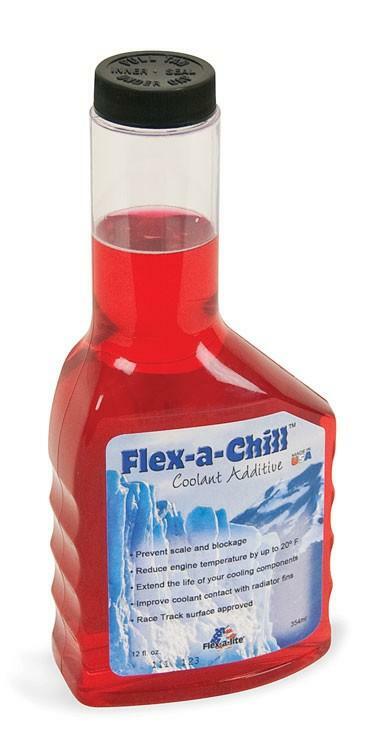 The formula also contains organic compounds that will prevent contaminates such as calcium and magnesium from developing into scales that clog your cooling system. Second, it is a “bubble buster” for the water in your cooling system, and better contact means better heat transfer by as much as 20 degrees Fahrenheit.